A man has pleaded guilty to biting off part of a man's ear in a "sectarian'' attack during Twelfth of July commemorations in Belfast in 2015. 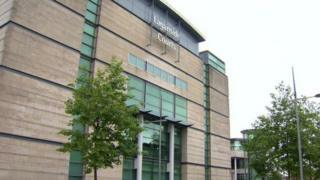 Danny McAree, 43, of Hamill Street in Belfast, was due to go on trial on Tuesday at Belfast Crown Court. He had previously denied 'unlawfully and maliciously wounding with intent to cause his victim grievous bodily harm'. But, after being arraigned on a second and less serious charge of wounding, he admitted the offence. A prosecution lawyer told the court: "Following consultation with the injured party, the police and the Public Prosecution Service, that guilty plea is acceptable to the Crown. "I would ask that the first count of wounding with intent to be left on the books." He said that a victim impact statement would be prepared for the sentencing hearing next month. The lawyer added that he would be "asking for some proper professional photographs to be taken to show the extent of the injury sustained'' to the victim's ear. During a pre-trial hearing, the court heard that there was a "sectarian'' overtone to the assault. The judge heard that reference was made to the victim being called "English'' and that he should "go back home''. Judge Geoffrey Miller QC ordered the preparation of pre-sentence reports by the Probation Service ahead of sentencing on June 27.